Eeeeeps, he looks so CUUUTEEE!!! Pusheen Pikachu! I just made a ship name usheenchu! AHHHHHHHHHHHHH, I wunna hug! So cute! mai i use in my custombox background? OH. MER. GERD. EEEEEEEEEEEEE!!!! So cute! i loved pikachu in yellow teehee i loved fat pikachu hehe so much more than bright skinny pikachu lol OG FTW!!!!!!! Man. If I'm having a bad day, I usually come and look at your Raichu one LOL... But now I can mix it up!! Balloon pikas::: I LOVE THEM!!! 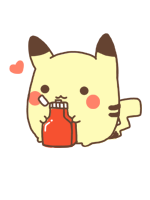 This is the best and cute pikachu I have never seen! 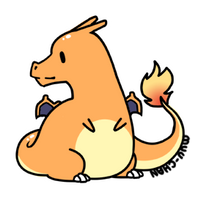 I think you should make the eevee cute and chubby. and this is so cute! Im glad you like! thank you very much! !